Beautiful footmuff in soothing baby pink color is extremely adorable and cute that your little one is going to love it. 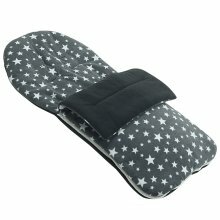 This top quality footmuff is a perfect option to ensure your baby complete comfort and cosiness when you are on the move. Suitable for all months, you can enjoy every weather condition with a great fun. 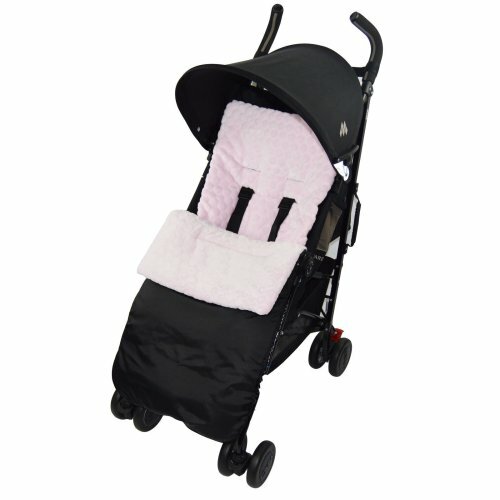 This adaptable footmuff is can be used as a buggy line or a padded pushchair which is ideal for summer months; plus you can use it as a comfy seat liner by removing front zips. You do not need to do much efforts while washing as it is machine washable which is definitely a time salvage. We have creatively designed to give it a compact and lightweight quality which is easy to carry and store. Available in approximate size of Height 90, width 40, depth 10cms.-------------------------------------------------------------------------------------------------------------------------------------Please Note:This product is a FOR-YOUR-LITTLE-ONE branded product it has been expertly designed with our in house designers to be compatible with this item.We assure excellent quality and durability of use.